Honor a mom in your life! 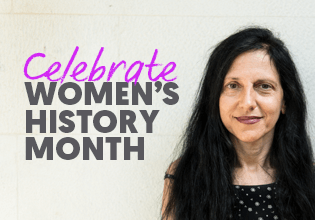 Honor a mom in your life with a gift to Global Fund for Women and help us build a world that is more just and equal for everyone. When you make a gift to honor a special mother in your life, you can download our printable card to share with your honoree just in time for Mother’s Day. Motherhood is powerful. 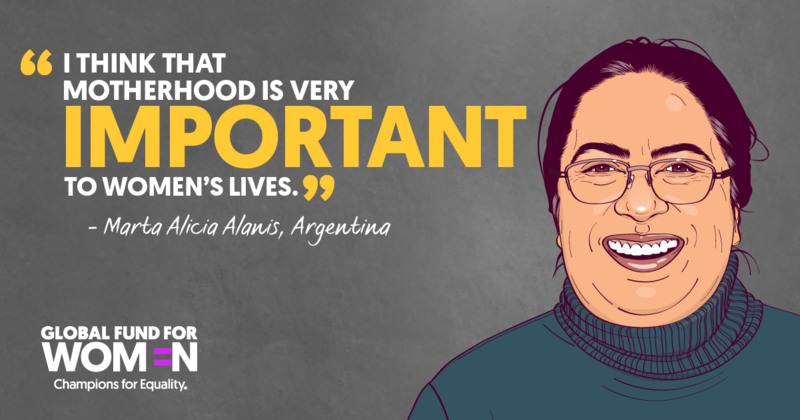 From human rights defenders and peace-builders to community leaders and activists, the mothers in Global Fund for Women’s network inspire us every day. 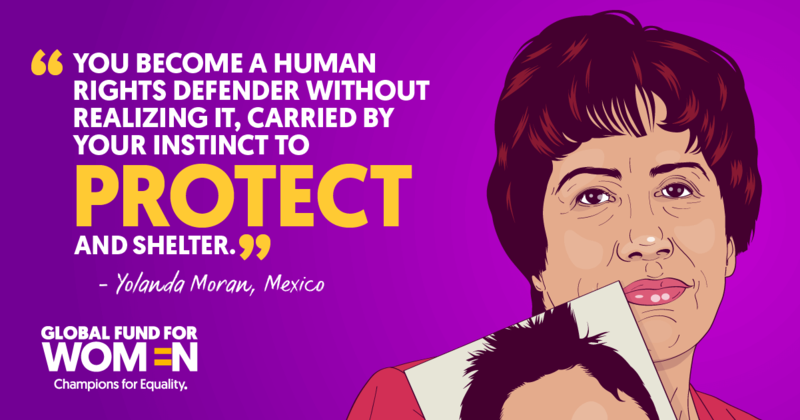 As many parts of the world prepare to celebrate Mother’s Day, we’re celebrating mothers’ strength and courage by sharing some of our favorite quotes and artwork. While these women are all from different communities and cultures, each of them has a story to share about the importance of motherhood. Many share how becoming mothers changed their lives. Others have become activists for the rights of women and mothers. At Global Fund for Women, we know that being a mother is connected to how women experience their rights: access to family planning and reproductive justice, maternal and newborn health, gender-based violence, conflict and refugee issues, and more—because women’s personal stories are infused with their unique experience at the same time that motherhood unites so many. 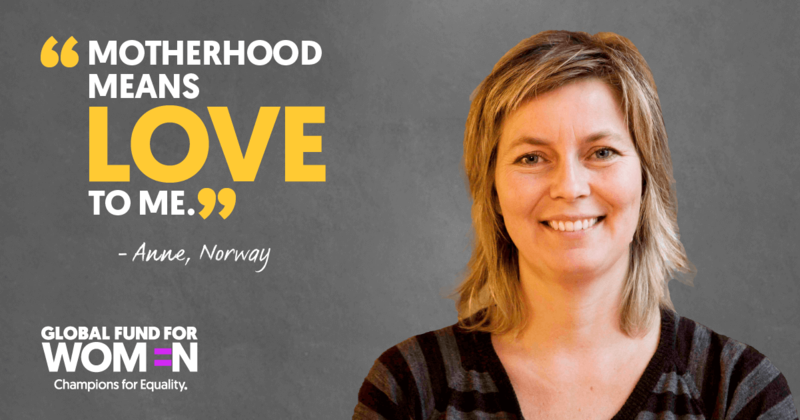 Mother’s Day is an important reminder of the need to celebrate not just mothers, but their fundamental human rights. Join us in celebrating motherhood around the world this Mother’s Day, and share the inspiration with mothers who inspire you! Share the inspiration with mothers who inspires you! 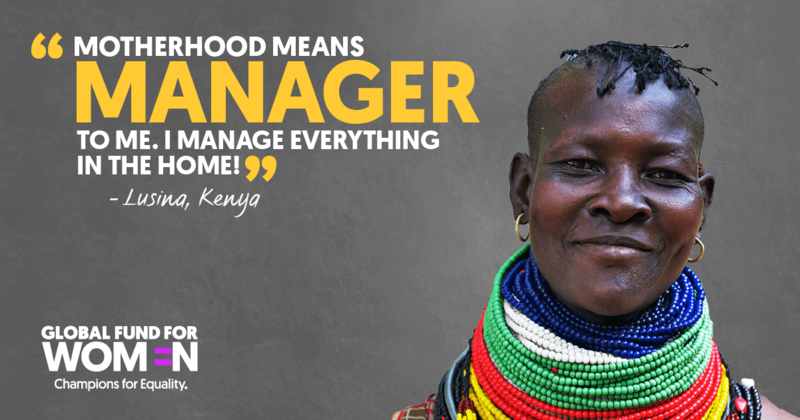 Happy Mother’s Day from all of us at Global Fund for Women! 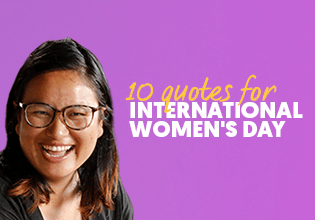 Learn more about key issues of women’s rights affecting mothers andwomen globally, our work to advance maternal health and rights aroundthe world, and much more by joining our champions for gender equality.